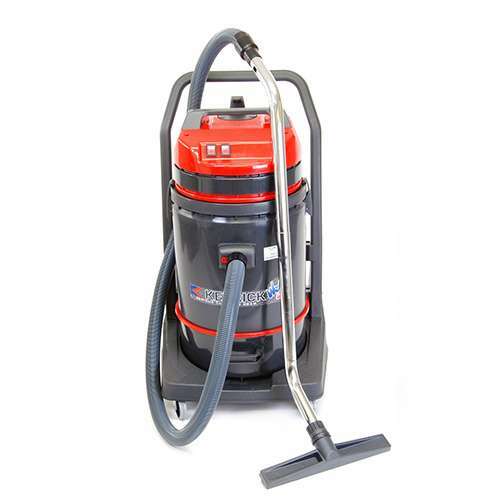 A The Roky 423R is an industrial medium-duty wet/dry vacuum cleaner, very popular in the car wash industry, automotive detailing and motor vehicle dealerships. This vacuum cleaner has twin motors giving it powerful suction, comes with a 72 litre tank and an industrial tool kit. The large tank is mounted to a tipping trolley for easy dumping of waste. The Roky 423R is designed for continuous operation as demanded by car wash cafes that operate on a 24/7 basis. 38mm industrial tool kit, including crevice tool and dusting brush.